Craftsmanship and the highest of quality are on full display in this custom built home located on Mankato's Hilltop. With well over 4,000 finished square feet, 5 bedrooms, and 5 bathrooms, you'll absolutely fall in love with the spacious layout. As you enter the foyer, you will notice beautiful hand scraped hardwood flooring leading you into the Great Room and throughout the main level. Enjoy entertaining in the open kitchen which features custom cabinetry, high-end stainless steel appliances, granite countertops, a large walk-in pantry, and beautiful island with a curved seating area. Right off the dining room, double doors lead to an office with built in shelves tucked away behind the pantry. Also on the main floor is a private master suite with his and hers walk-in closets and custom master bath featuring a beautiful tiled walk-in shower with dual shower heads and body sprays, double vanity, and a separate free standing soaker tub. 2 additional bedrooms, a full bath, and laundry are also on the main level. The lower level includes a huge 38' x 34' family room, future wet bar, 2 bedrooms, 2 bathrooms, 3 mechanical/storage rooms, and an additional staircase bringing you directly up to the garage. Epoxy floors in all mechanical rooms and the garage. This fantastic home also includes radiant in floor heat throughout (including the garage), instant hot water at every tap, in ground sprinkler/irrigation system, ICF poured wall foundation, urethane foam ceilings, and 2 brick patios, one with built in natural gas fire pit and another with wire run for a hot tub. 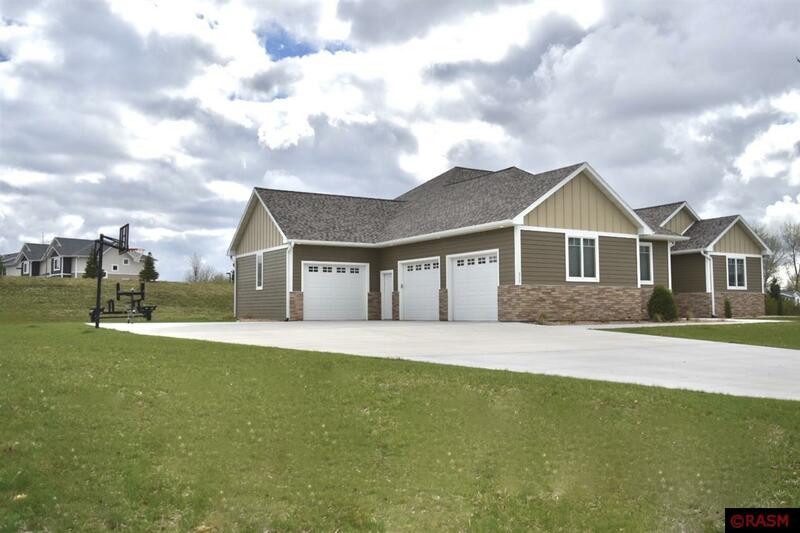 This impeccable property is nestled on 2 lots for a total of .64 acres and has a proposed plan for a future additional 2 stall garage/workshop! Please call today for your own private tour of this beautiful home and see everything it has to offer!